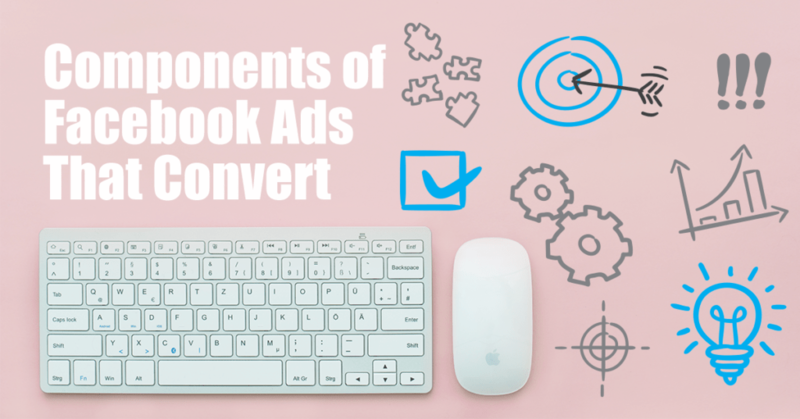 I was recently interviewed by Melinda Samson from Click Winning Content about the different components of Facebook Ads that convert. You can watch the interview here and read on for a summary of what we discussed. Each of these components play a big role in the potential outcome of your ads. Therefore, it’s important that you optimise each of these components to ensure you get the best results for your Facebook Ads. Your objective is the ultimate goal that we want to achieve of the back of your ad campaign. The objective you choose is what you want Facebook to optimise your ad for for of, whether that be traffic to your website, conversions, messages or something else. Choosing the right people to see your ads will play a big role in the success of your ad campaigns. You can have the best ad in the world, but if you’re sending it to the wrong audience, it’s not going to convert. You have to get super targeted. Thankfully Facebook provides us with some awesome tools to assist us in targeting the audience we want to see our ads. You can target people based on interest, behaviours and demographics by using Facebook’s Saved Audience option. But, other more powerful audiences are the Custom Audiences you can create that consist of people who have already interacted with you in some way, such as visiting your website, subscribing to your emails or engaging with your business on Facebook or Instagram. You should be tailoring you ads based on where people are likely to be in your sales funnel. For example, you may share a blog post to a cold audience of people who have never engaged with your business, but have demonstrated relevant interests, behaviours and/or demographics. Sales promotion ads are best delivered to warmer audiences, such as those people who have visited relevant pages on your website. Facebook can be a form of escapism for many people. They go there to relax, engage with friends and to pass the time. They are interested in being entertained, educated and inspired by the content they see in their newsfeed. In order for you to convince them to spend time taking whatever the desired action is you want them to take from your ad so that you will achieve your Facebook Ad campaign objective, you need to make sure that your offer and/or call-to-action is more compelling than what they are currently doing. Your offer is what you are providing in exchange for your audience taking the next step toward them assisting you in achieving your objective for the ad campaign. That could be them clicking, giving you their email address or purchasing from you. You need to ask yourself “How can I make what I am offering so attractive that the people I am targeting will feel compelled to take my next desired step”. Your offer could be a blog post, an eBook for download or a product you want them to purchase. You will need to demonstrate the value of your offer and this is usually done through your ad media and copy. Your media is what is most likely going to attract the attention of your intended audience. It needs to be engaging enough that they will stop scrolling and pay attention. You can even add a fullscreen experience to further engage your audience once they interact with your ads. Once your media has been successful in grabbing the attention of your audience, you need to ensure that the words and any other special characters (like emojis) in your ad copy demonstrate the value of your offer and are convincing enough to get your audience to take the desired action that you have called through your call-to-action. I was interviewed recently on the Hot Copy Podcast about Writing Clickable Facebook Ads, which steps you through what you need to consider when writing your Facebook Ad copy. There is a definite art to Facebook Advertising. Optimising each of these components will result in a much higher return on investment for your Facebook Ads. If you would like to learn more about how to create Facebook Ads that convert, then join me for my next Facebook Ads Workshop where we can work through this together.